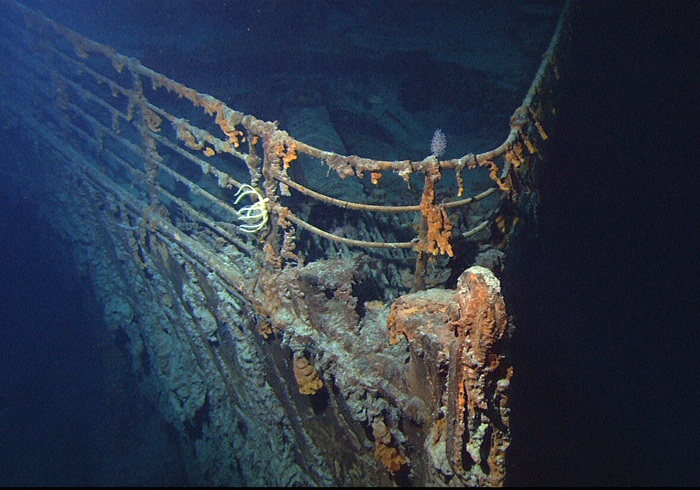 The gravity of the damage to the Titanic is apparent, but the important point is that she did not sink. [Man’s] brain has within it the spirit of the divine, and he overcomes natural obstacles by thought, which is incomparably the greatest force in the universe. Fast forward 100 years, and things haven’t changed much. Our hearts push us with words like icebergs. “Never depend on anyone.” “Save face at all costs!” “Stand alone.” And the root of this advice? Courtesy of NOAA/Institute for Exploration/University of Rhode Island. Public domain. Pride is like a cancer that permeates every part of who we are. It affects how we look at ourselves and others. It’s what we feel when we’ve made a mistake but refuse to admit it. Pride causes us to stand our ground when we ought to ask forgiveness. Pride lashes out and spews illogical blather, because it has no real basis for battle. Pride can blind us into thinking the world owes us an apology—or that God does. Speaking to those who felt they were unsinkable, Obadiah teaches us that pride blinds us to the truth. I remember reading in People magazine where the actress Kate Winslet (who played “Rose” in the Titanic movie) made the statement that when someone we love dies, “it puts a hell of a lot in perspective.” In other words, tragedy teaches truth the hard way. Pride only shows us the tip of the iceberg. Devastation awaits the one who refuses to steer clear of it. Take an honest look at your relationships, particularly the strained ones. If you’re honest, isn’t pride lurking beneath the surface of it all? Isn’t it pride that points the finger to everyone else but yourself? It’s time to abandon a foundering vessel. Walk humbly with your God. Tell me what you think: What’s an instance you’ve seen in someone’s life when pride has blinded them to reality? Any lesson you’ve learned? To leave a comment, just click here.